Equality & Dignity - out of stock? Why am I called a 'service user' when I have no choice in services? If I went to Argos for a kettle and somebody pumped me full of drugs I didn't want, pushed me on the floor because I complained my kettle was faulty, or electrocuted by said kettle, you know, I wouldn't go want to go back. How in any way, shape or form is that a service, especially if this 'service' affects your statutory rights. No refunds or exchanges for missed life. 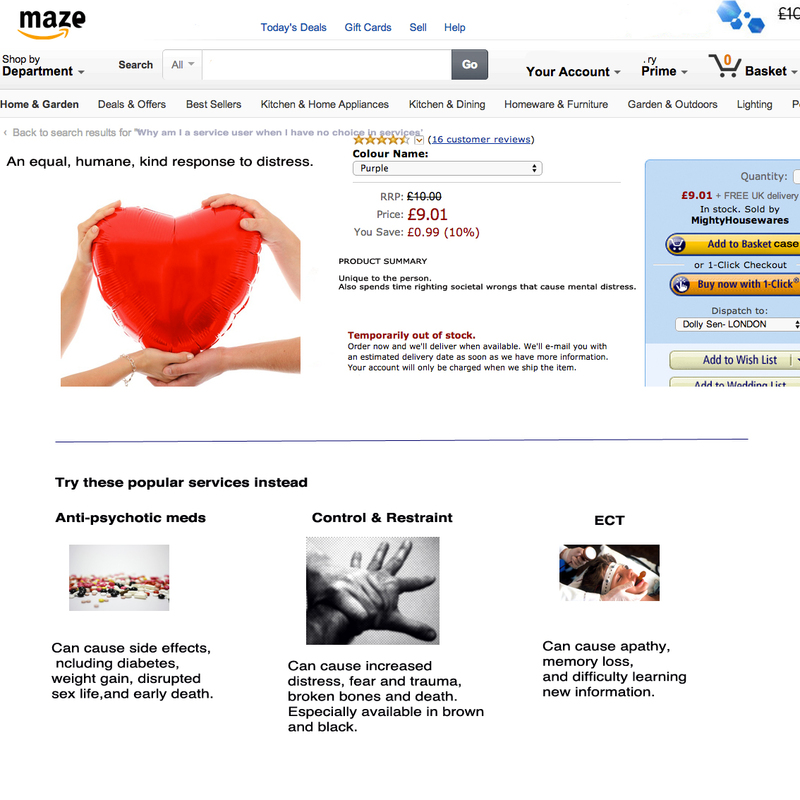 So I had fun creating an amazon page for psychiatry. Enjoy.